I love my iPad and I know that lots of you love there tablets to. One thing that bugs many of us are those nice fingerprints on the screen. And even if you try to get those smudges of your touch screen it is almost impossible to do. But now there is the CleanVu from Targus. 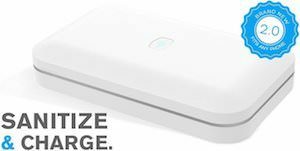 The CleanVu is a cleaning pad that you can keep reusing over and over again and will really get your screen clean without to much problems. The pad is made of a suede kind of material and that really works to get your screen all clean again. So if your Apple iPad, Motorola Xoom, Samsung Galaxy Tab, Blackberry Playbook, HP touchpad or any other tablet is getting dirty then just think of the Targus CleanVu Screen Cleaner. I know how it goes cleaning your machine is not high on your To Do list but you have to admit that those keys start to get dirty. 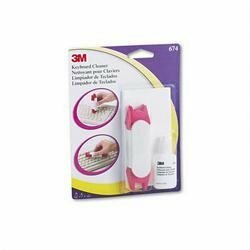 Why not get a simple product like the Keyboard Cleaner from 3M that way you can choose one of the two sponges to clean your keys and between your keys so that you fingers don’t stick to the keys any more. Go have a look at the 3M Keyboard Cleaner and enjoy your clean and shiny keys.